Anyone else have that moment (typically towards the end of fall) when you look in your pantry and see about a dozen cans of pumpkin puree staring back at you? Well, that happened to me today. I usually buy a bunch of cans in late August assuming I will use them all, but this fall I may have overdone it. I'm still fully stocked, despite making pumpkin bread, pumpkin scones, pumpkin ravioli, pumpkin tacos (ok, maybe not pumpkin tacos), pumpkin pie, pumpkin risotto….you get the idea. Even when I cook these things, I rarely use all the pumpkin in the can. So then I go to place the extra pumpkin in the fridge and…Agh! I forgot about that entire drawer full of apples. 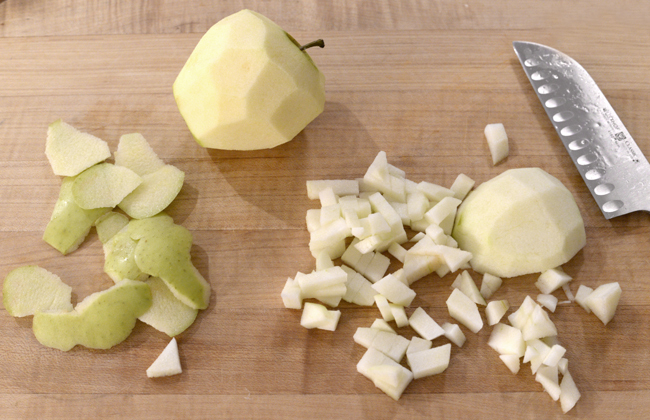 Yes, those apples that you got apple picking because you just knew they would go so fast! Well, they haven't. So "how do you like 'dem apples?" Don't get me wrong, I love apples and pumpkins–all things fall, really! 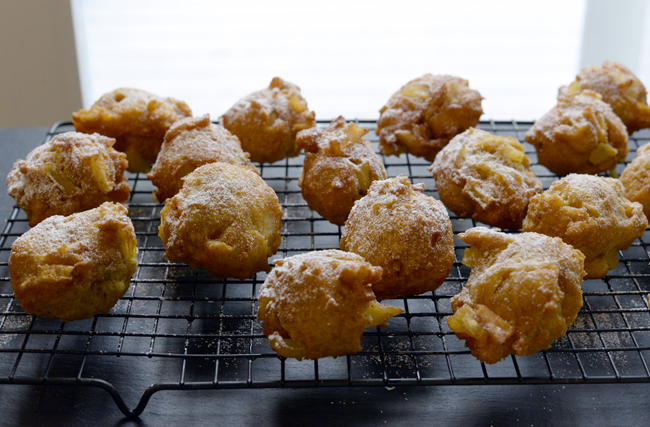 But, if you also find yourself with leftovers, this pumpkin apple fritter recipe is the answer. 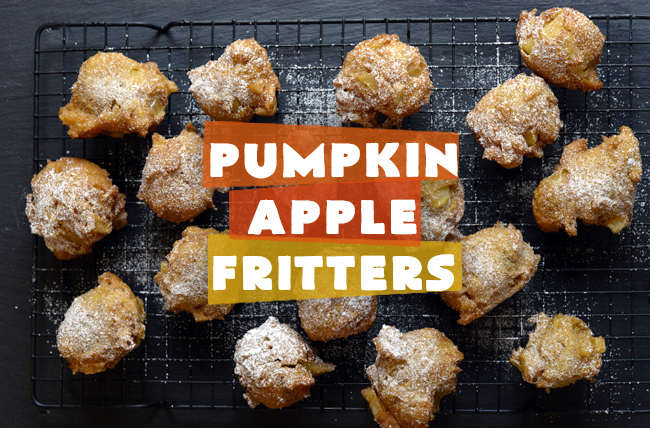 Apple fritters are a favorite of mine and I make them quite often for a quick and insanely delicious dessert. 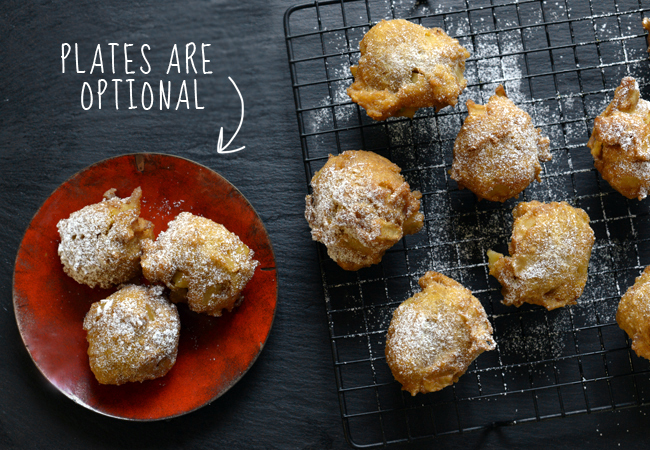 They're warm, crispy and dusted with powdered sugar...so essentially they're perfection. The pumpkin just seemed like a natural addition to the fritter fest. 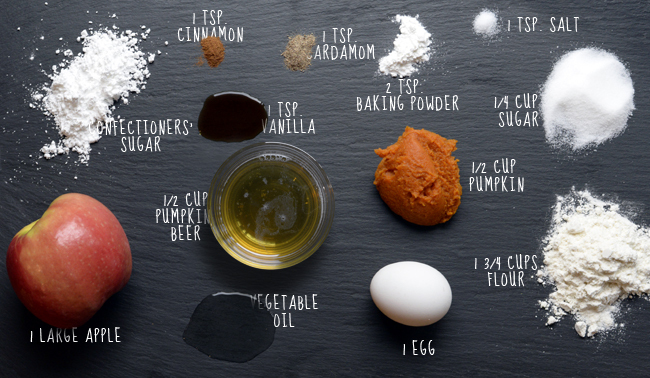 But there's another secret ingredient that takes these fritters to the next level of awesome, and it's pumpkin beer. (Yet another thing I stock up on in early fall, but I have no problem finishing those.) 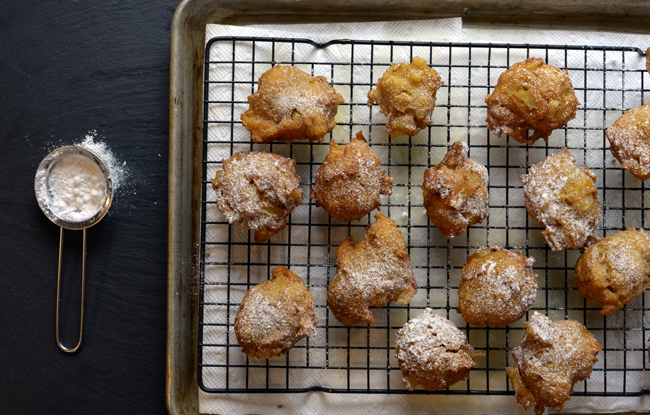 So, make these fritters today and consider it a "winter-cleaning" of sorts. Because no matter how much you deny it…winter is coming. Keep the extra beer close. You'll have time for a few sips as the fritters fry. 1. Place the vegetable oil in a saucepan and set over medium heat. Line a baking sheet with paper towels and set aside. 2. Combine the flour, sugar, baking powder, salt, cinnamon and cardamom in a large bowl and set aside. 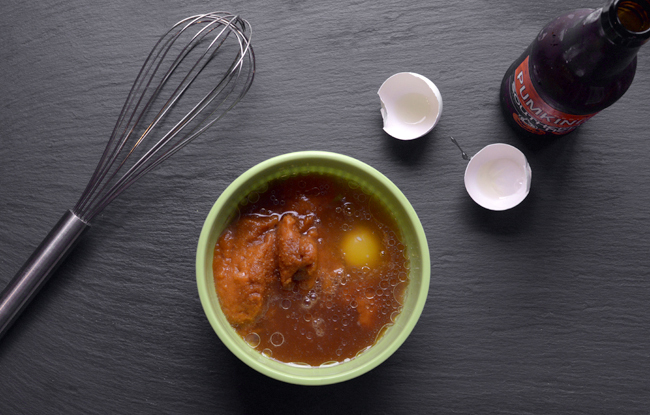 In a small bowl, combine the pumpkin, beer, egg and vanilla. Stir until combined, then add to the dry ingredients, mixing until just incorporated. Fold in the apples, making sure not to over mix the batter. 4. 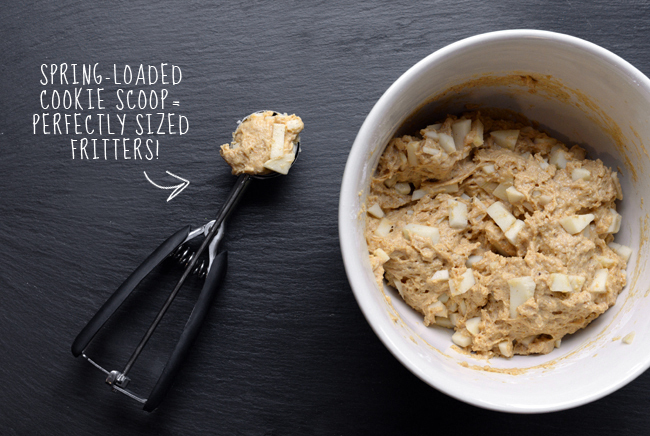 Use a spring loaded cookie scoop (or teaspoons) to gently drop rounded spoonfuls of batter into the oil. Cook for about 3 minutes on each side, or until crispy and golden brown in color. 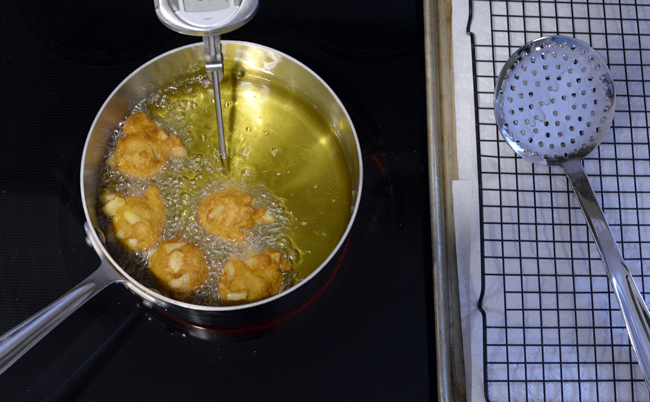 Use a slotted spoon to carefully remove the fritters from the oil and place on the paper towels. 5. 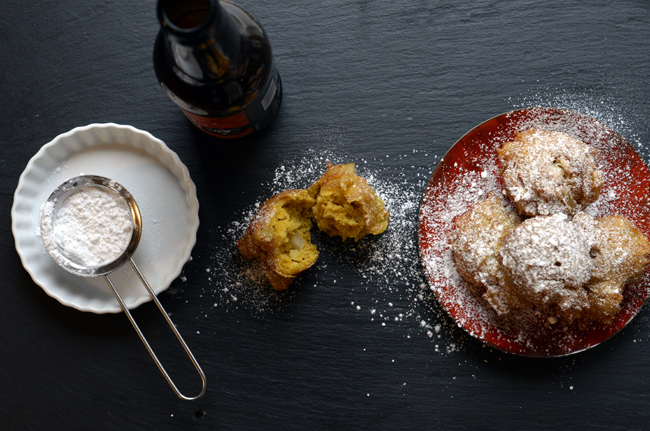 Dust with the powdered sugar and enjoy! These are best eaten immediately while they're still crunchy and warm.